Thank goodness they got good at making craft spirits because copy writing ain’t their cup’o juice. But they did indeed get very good at the distillation stuff, winning prestigious awards and a lot of fans all over the region. 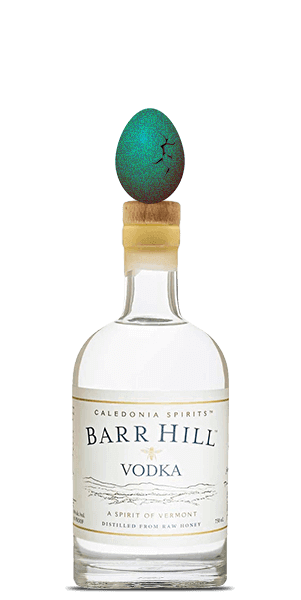 Today they have three core products under their Barr Hill brand: Gin, Vodka, and Tom Cat barrel-aged Gin. Their beautiful Vodka is crafted from raw, organic Vermont honey sourced from one of 1,900 colonies. Soft notes of honey and vanilla, with a smooth, clean finish and a unique, crisp texture. Sealed with beeswax for the ultimate honeymakers touch. What does Barr Hill Vodka taste like? The Flavor Spiral™ shows the most common flavors that you'll taste in Barr Hill Vodka and gives you a chance to have a taste of it before actually tasting it. Honey, vanilla with spicy notes pepper. Crisp notes, pepper and vanilla.